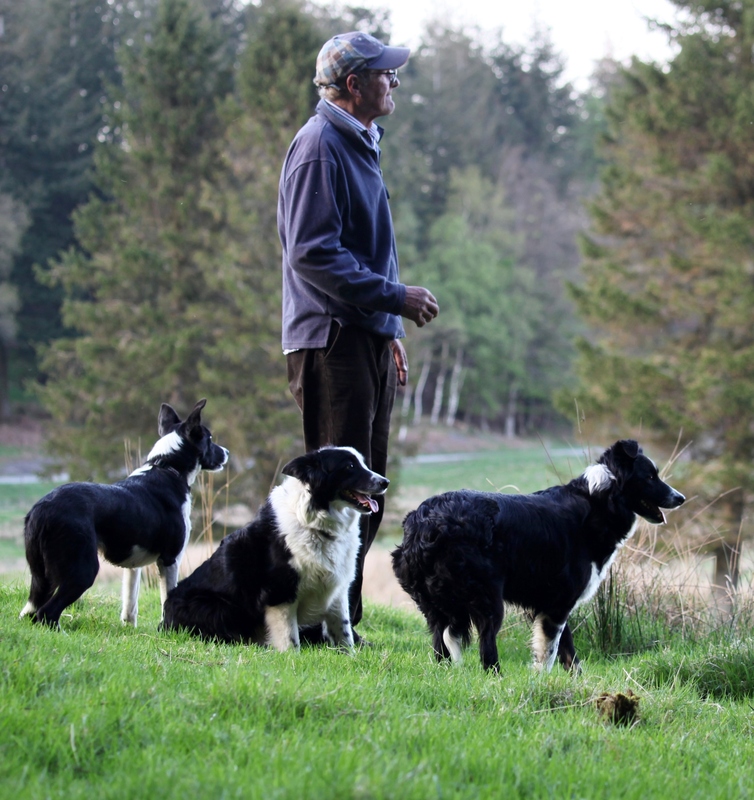 Winter and Spring SHEEPDOG TRAINING SESSIONS at totterbank CROSTHWAITE . NR KENDAL CUMBRIA. THURS AND FRIDAY ONE- TO- ONE [ owner/ handler with own dog ] ,WE HAVE A FIELD SHELTER AND SEATS FOR YOUR COMFORT and offer a small area fenced off for you and your dog with well dogged hebridean sheep a 6 acre field and right up to the Open size course also a rough hillside too 30 acres a few miles away inthe summer months, please get in touch to go onto the waiting list .. also NEWS Alan will be doing a training clinic in denmark in march this year booking details soon .. !
! new dog for sale march 2019 fantastic all rounder ring for details 07788298432 he will do all your flock work or if you enjoy sheepdog trials hes experienced and has national points, also works birds only to a very good home , ! al and rap got 3rd place this week at the open penrith ,march 2019.. old news .. news 2017 news for dec glenalla dale won the northen novice trial , today, glenalla brad with shirley cropper 6th in the clough head Haslingden open nov 17 , glenalla dale first place novice this week at the northern club nov 17 for emma proctor GLENALLA RITZ FIRST TIME OUT AND 5TH PLACE ,1ST OCT WINDERMERE NURSERY , AND RAVEN 3RD NOVICE AT MUKER SHOW GLENALLA DALE for ,emma proctor novice winner northen sept, another 6th place for raven this week in the open classes , NOV/DEC GLENALLA RAVEN HAS 2 MORE PLACINGS IN NOVICE TRIALS.. nov 2016 ... tess 5th at the open class 700 yd outrun at kendal couple of weeks ago with raven also going well well and did the big ourun with no redirection just missing a drive gate so pleased with her progress too, raven had 6x6th places in the novice trial classes trials old news ... BEEN A WHILE SINCE I HAVE UPDATED NEWS.. AUG AND SEPT HAS BEEN GOOD FOR YOUNG DOGS GLENALLA RAVEN AND HER BROTHER GLENALLA BILLY[ BOTH BEING SIRED BY ERYRI MAC ,] BOTH WINNING NOVICE CLASSES ON VERY TRICKY SHEEP. 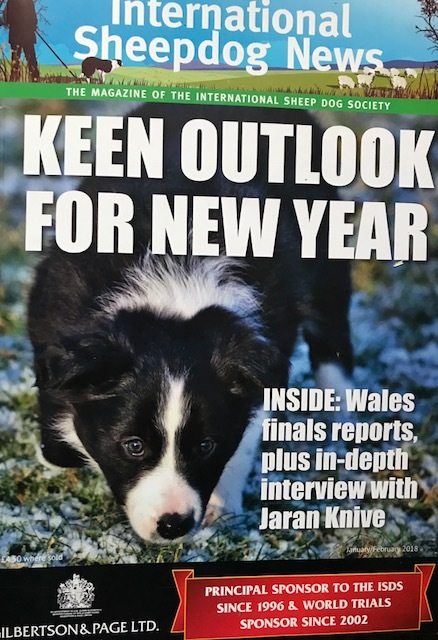 TESS GAINING A GOOD 2ND PLACE IN OPEN IN SWALEDALE ,, AS FOR RAVEN SHE IS BEING PLACED 6TH IN A FEW OPENS NOW, AND A 5TH OPEN PLACE , ...OLD NEWS JUNE 2016 SO WILL PUT UP THE LATEST NOW,AL RUNNING TESS AND FOX WON THE BRACE COMP AT THE ALSTON OPEN AND TESS AND RAVEN GOT 6TH IN THE OPEN RAVE AND 7TH OPEN CLASS TOO, MORE TRIAL NEWS UPDATE FEB 2016 , RAVEN just out of nursery s ran at the greystoke OPEN last weekend,and with 71 open dogs competing she was placed 6TH very pleased with her improvement,and just 22 months old ,her first national point .... glenalla DALE, 16 MONTHS OLD STARTED NURSERY ,S last week won a 3rd and 4th Netherlands well done to handler . SHIRLEY CROPPER handler owner of glenalla brad has done really well in the nursery trials and gained a 4th in his first open trial ,, really pleased ..